Some things in life are just meant to be together. Strawberries covered in nutella ganache are just one of the few. These things are so incredibly easy and delicious you might even eat em all before they’re even done. Talk about a dangerous kind of food. This recipe uses both semi-sweet chocolate and a healthy dose of nutella. You can never go wrong with nutella. To start out, you need one pound of the freshest, most blemish free strawberries you can find. 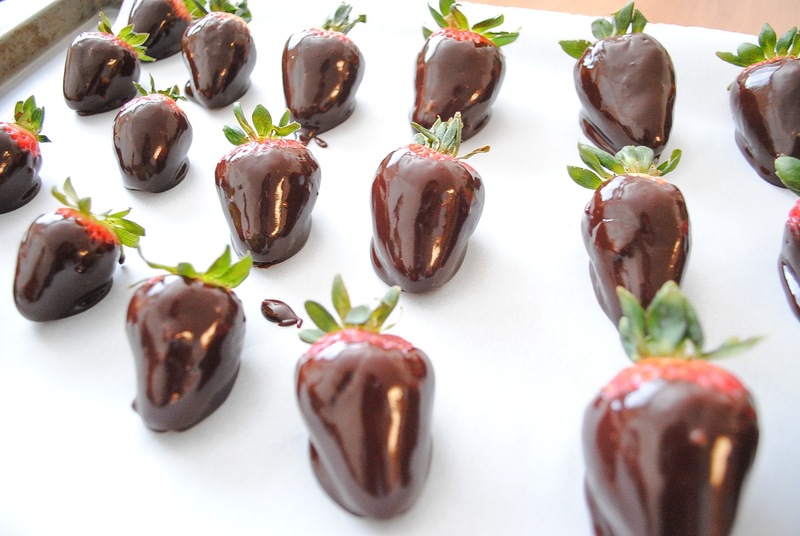 If there are blemishes on the strawberries, it can cause them to leak juice as the chocolate is cooling. Wash them thoroughly. I grew up learning that strawberries have the most pesticides on them, and often times I will soak them in some veggie and fruit wash before eating. But I don’t have that here in college and so I just let them soak for five minutes or so. Strain it out and let the water continue to drip off for five minutes. 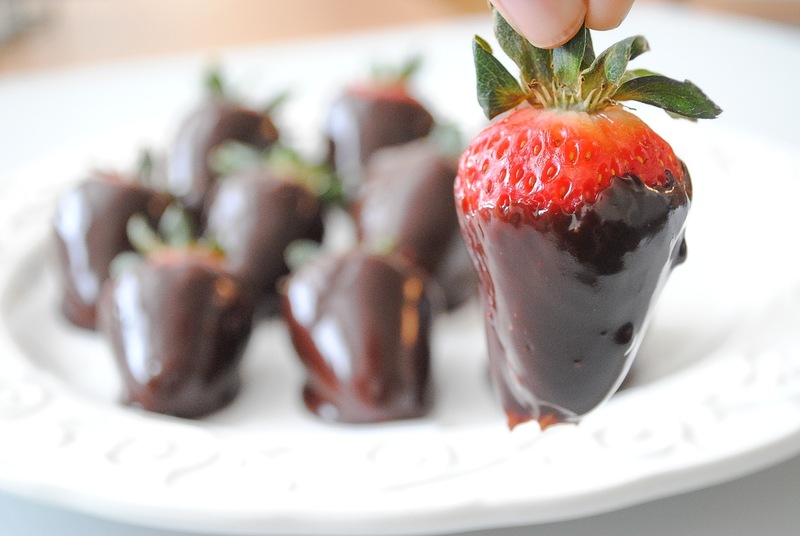 While chocolate and strawberries are the best of friends, chocolate and water are enemies. 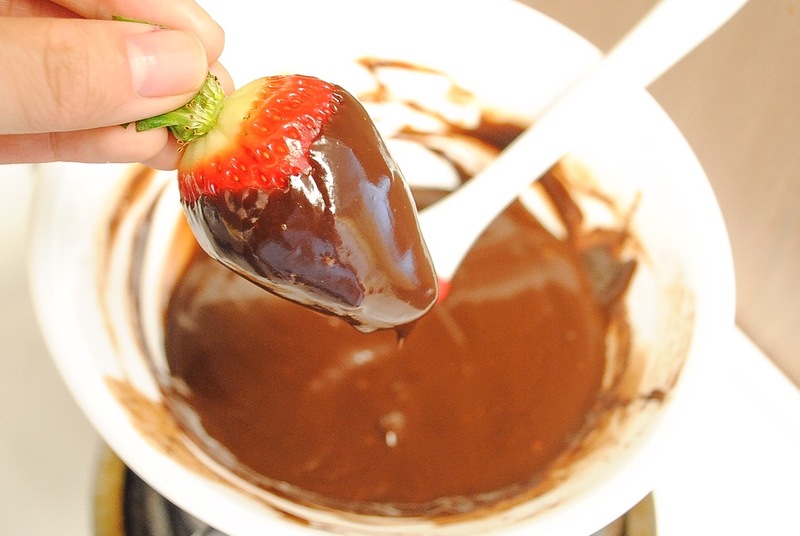 You want to make sure your strawberries are as dry as possible before it touches any chocolate. 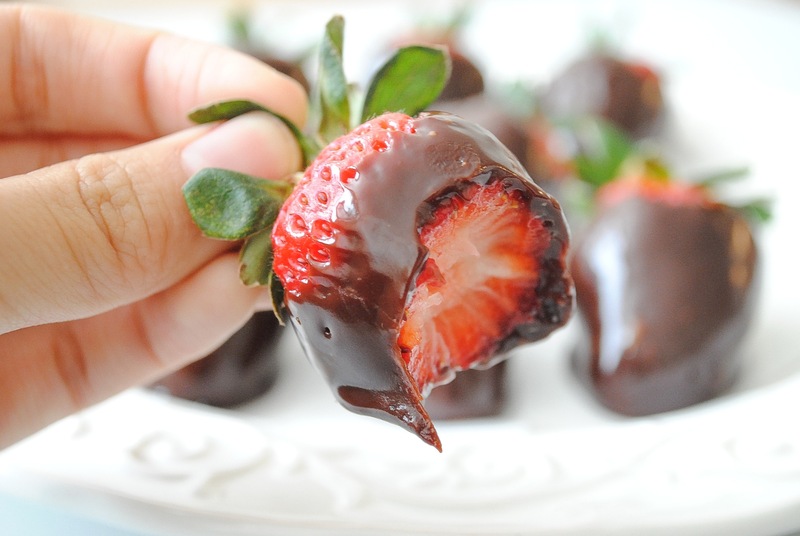 Any drop of water that touches the strawberries will cause the chocolate to seize, or to become grainy, lumpy, and crumbly. Never good especially when you are using the chocolate to dip and want it smooth and glossy. 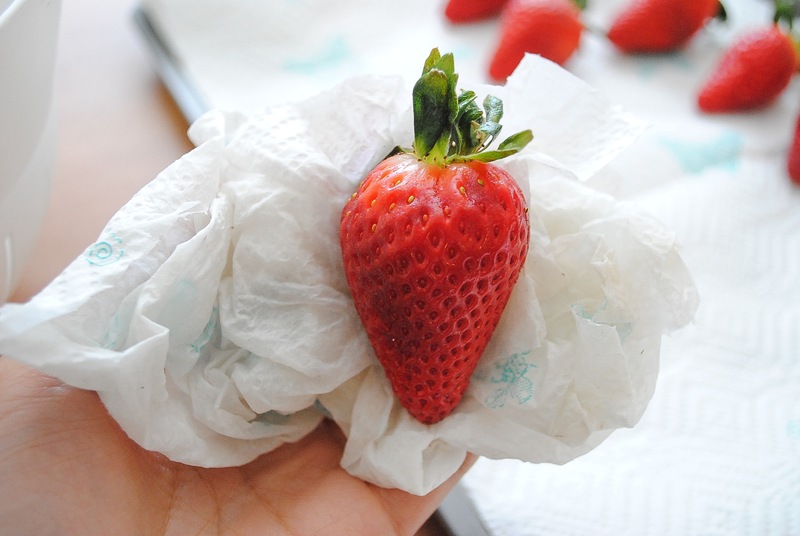 I use paper towels to hand dry each strawberry to ensure they are completely dry. Then I lay them out on paper towels to air dry for a couple more minutes. You can never be too sure! As they are drying, prepare the chocolate. The chocolate is to be heated over a double boiler. A double boiler is when something is heated indirectly using the steam that comes from water. You can just fill a small saucepan 1/4 full of water and bring it up to a simmer. Take a heatproof bowl and place it on top, and the steam that comes from the heated water will heat up the bowl! Measure your chocolate into the bowl to begin to heat. From this point, you can go two directions. You can make a glaze by adding butter, or you can make a ganache by adding whipping cream. I have chosen to add whipping cream as it will make a richer, thicker coating on the strawberries. In a small heatproof bowl, heat up the whipping cream for 45 seconds, or until the cream is bubbly. 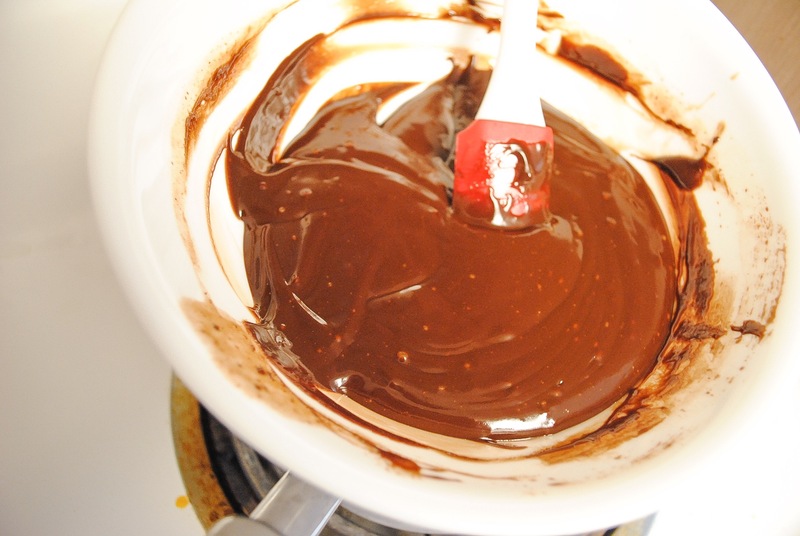 Add it to the chocolate mixture and slowly stir. The mixture will look lumpy at first but don’t worry, it will smooth out! Once it has become smooth and glossy, it is ready to be used! 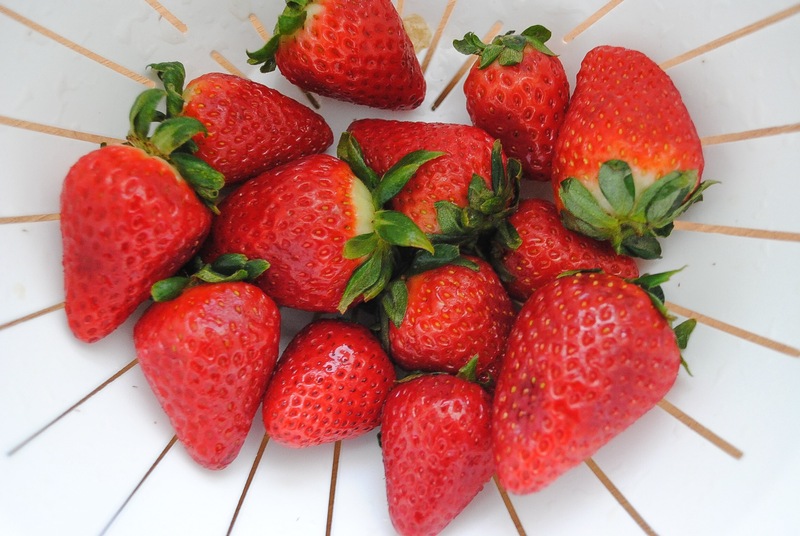 Take your strawberries by the top and grab all the leaves in your finger. You want to avoid getting the leaves in the chocolate. Dip, swirl, do whatever you want to coat the strawberry. Lay them out onto parchment paper. If you are giving these out as a treat for friends, lay them into cupcake tins. Refrigerate until the chocolate is set. If you are anything like me, five strawberries would have already disappeared by this stage, and I am not ashamed of it one bit. 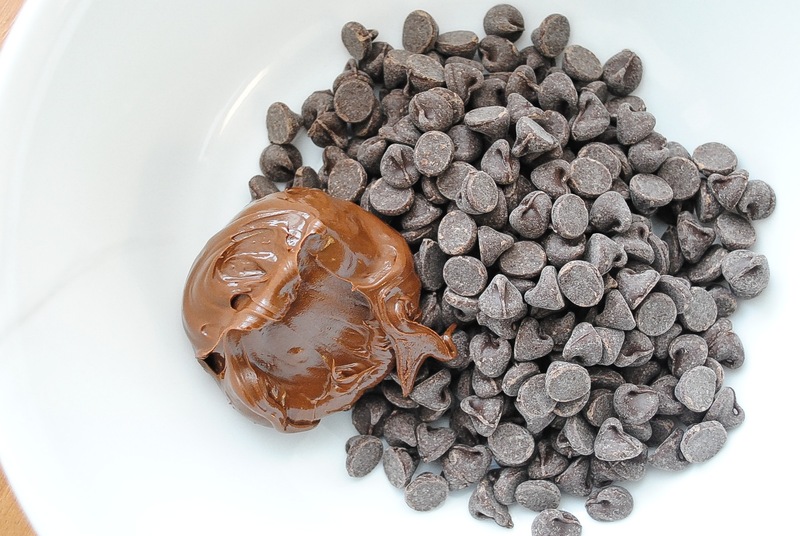 Heat the chocolate chips and the nutella over a double boiler on medium heat. Heat the cream in a separate bowl in a microwave until it is bubbly. 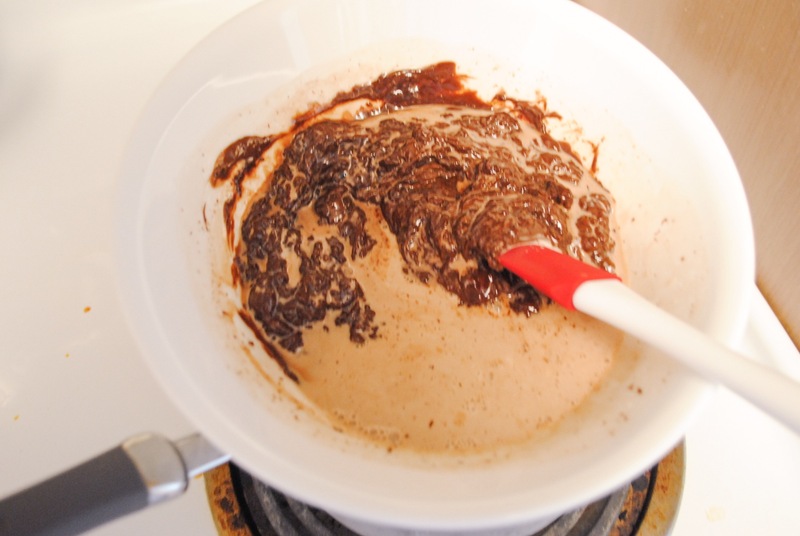 Pour into the chocolate mixture. With a rubber spatula, gently stir and combine until it is smooth and glossy. 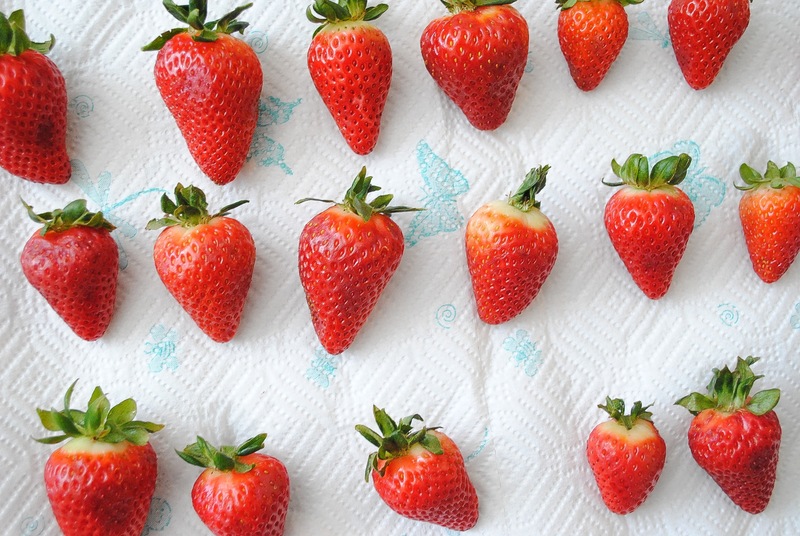 Take the strawberries and dip them one by one. Place them on nonstick parchment paper and allow to cool completely. Refrigerate until you are ready to eat them.